Israeli-South African Trade, Technology and Economic Ventures | This blog deals with the Trade Relations between Israel and South Africa. It explores business opportunities and shares information on technologies and solution in many areas, such as renewable energy, telecommunication, medical devices and more. If you are interested in doing business with an Israeli technology vendor or any other Israeli company – you have got to the right place! The Mobile World Congress, which takes place in Barcelona Spain, is one of the most important events in the Telecommunications industry worldwide. Dramatic changes and trends have been seen in the African continent in the last several years which will affect the values and culture and will help to shape the future. The mobile revolution in Africa will empower the people who have been underserved by the constraints of a lack of education as well as lack of accessibility in the rural areas where the majority of the population lives. The Israeli Trade Ministry together with the Israeli Export Institute are proud to host 61 leading companies in the Telecom industry. These companies have the capabilities and “know-how” to empower the countries of Africa to transform themselves into First world nations. There will be a wide variety of solutions ranging from Infrastructure optimization to Value added services and Fascinating applications. 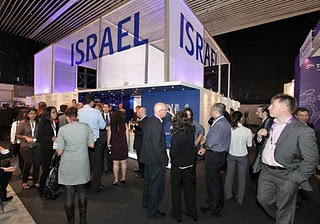 Furthermore, there will be demonstrations of the applications at the Israeli- Pavilion where one can experience the ground breaking technologies. IBC Amsterdam is the leading global trade show for professionals involved in the broadcasting and entertainment industries. This year’s tradeshow took place from the 8th to the 13th of September 2011 and showcased numerous content delivery, management and distribution solutions. The Israeli Pavilion showed a strong presence with 29 companies that presented advanced solutions that included O.T.T and IPTV solutions, gaming, satellite services as well as content management solutions. A number of South African companies in the broadcasting industry met with Israel companies of interest. The south companies included TV broadcasters, TV operators as well as a number of system integrators in the broadcasting industry and they were highly impressed with the level of innovation that could be found at the Israeli Pavilion. This level of innovation garnered three of the companies that were part of the pavilion, Justad.tv, Live U as well as Tvinci, awards at the exhibition. Justad.tv won the inaugural connected TV award for the best revenue generation innovation. Their innovative non -linear advertising solution helps content and service providers to create revenue online across a number of devices. The judges saw Justad.tv’s solution as key for future business strategies as it would help generate revenue in the mobile world. Live U is a leader in portable video over cellular solutions. This year they launched the LU40i 4 G wireless device that won them one TV Technology Europe’s Star award for superior technology which was presented at IBC Amsterdam. The awards were given to interesting products that helped the user save money or accomplish a task in an easier manner and Live U’s LU40i device fit the bill. The LU40i is a handheld live high definition solution that was designed for the online media market. The device is light weight, easy to use and its uplink system is perfect for online media professionals that are always on the move. Tvinci won the sought after award for the best WebTV technology for their innovative O.T.T solution. Tvinci allows users to have personalized access to premium content such TV programmes and movies from connected TV’s, tablets, P.C’s and Smart phones. These services can be paid for per view, through ads as well as packages and subscriptions. The judges commended Tvinci enhancing the users and service providers video experience as well as for enabling service providers to manage video on various devices. Other companies that received raving reviews from South African companies were Abonair(wireless video), Gilat Satcom(satellite and vsat), Waze Mobile(Mobile navigation), Kultura(Open Source Video Platform), Pilat Media(broadcast management) as well as Orca Interactive(IPTV and OTT middleware, content discovery and recommendation). 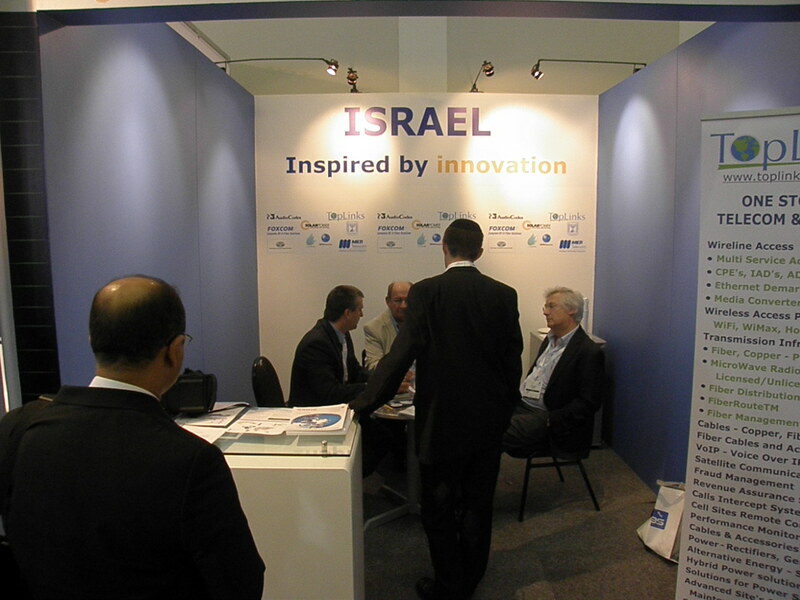 Overall, IBC Amsterdam 2011 was a success for the Israeli Pavilion with over 900 meetings taking place. Next year, the event takes place from the 6th-11th of September and we look forward to sharing more Israeli innovations with South African companies at next year’s IBC.